Krystal Conner | ENVIRO AgScience, Inc. 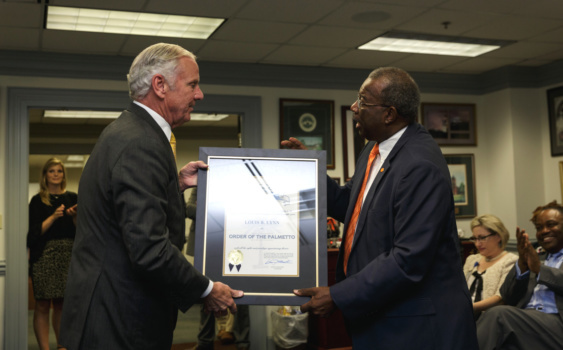 In a ceremony at the Commission on Higher Education (CHE) on August 2, 2018, Governor Henry D. McMaster presented former CHE Commissioner, Dr. Louis Lynn, with the Order of the Palmetto, the highest civilian honor in the state of South Carolina. Dr. Lynn served for over six years as a dedicated member of the CHE, first from 2006 to 2009 and most recently from 2015 to 2018. In his remarks, Governor McMaster – who noted he also previously served as a member of the Commission on Higher Education – stated that he chose to award Dr. Lynn the Order of the Palmetto for his contributions not only to education, but also to the South Carolina community as a whole. Clemson University leaders commended their longtime Board of Trustee member for his achievements. Dr. Louis B. Lynn, a native of Lamar, S.C. in Darlington County, is Chairman of ENVIRO AgScience, Inc., a 30-year-old family-owned construction and landscape firm with offices in Columbia and Atlanta. Dr. Lynn received his B.S. and M.S. degrees from Clemson University and his Ph.D. from the University of Maryland. He currently serves as Adjunct Professor of Horticulture at Clemson University and has served on the Clemson Board of Trustees since 1988. Dr. Lynn has served on numerous local, statewide, and national boards. Currently, he serves on the Corporate Board of BB&T Bank in Winston-Salem, N.C. and the Board of Trustees of the National Urban League in New York. Previously, he served on the Executive Committee of the Columbia Chamber of Commerce, the board of the American Horticultural Society in Washington, D.C., the board of the National Association of Minority Contractors in Washington, D.C., and was President of the South Carolina Chapter of the National Association of Minority Contractors. In 2012, Dr. Lynn was recognized by the US Department of Commerce as the National Small Businessman of the Year. He has also received numerous other awards and recognition for the work of his company for his dedication to civic service. The Order of the Palmetto is the state’s highest civilian honor awarded to citizens of South Carolina for extraordinary lifetime service and achievements of national or statewide significance. The Order of the Palmetto is a once-in-a-lifetime achievement. 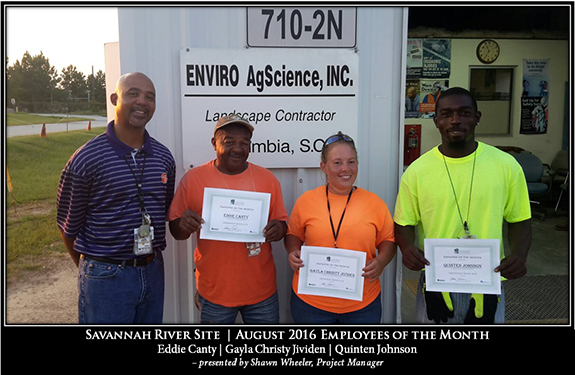 They were selected as Employees of the Month for the Savannah River Site project. Shawn Wheeler, project manager, presented them with certificates for their dedication, hard work and outstanding performance. (Atlanta, GA) – Dr. Louis B. Lynn, founder and chairman of ENVIRO AgScience has been named in Savoy Magazine’s summer release of Power 300: 2016 Most Influential Black Corporate Directors, a directory of 300 directors serving on the boards of public companies. 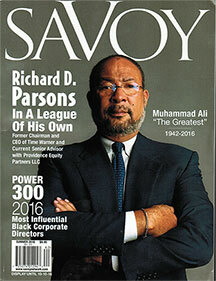 As the leading business magazine reporting on African American success and achievement, Savoy’s Most Influential Black Corporate directory is the premier listing of African-American executives, influencers and achievers contributing leadership to corporate boards. Dr. Lynn’s profile can be viewed online at http://savoynetwork.com/mibcd2016/louis-b-lynn/. “I am honored to be included with so many of my colleagues who are doing great work in the boardroom with commitment and dedication, as executives and entrepreneurs work together for increasing boardroom diversity & inclusion for the next generation of corporate directors,” said Lynn. Dr. Lynn serves on the National Board of BB&T bank, based in Winston-Salem, North Carolina. He has been a member of the Clemson University Board of Trustees since 1988 and serves as national board member of the American Horticulture Society, trustee of the National Urban League, national board member of the National Association of Minority Contractors and serves as a Commissioner on the South Carolina Workforce Development. The full 2016 Most Influential Black Corporate Directors listing is available now online exclusively at savoynetwork.com/blackdirectors. 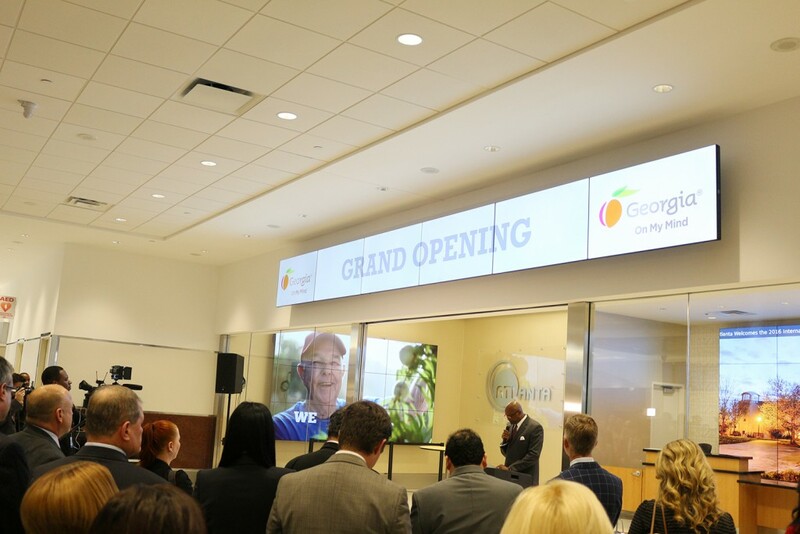 Jason Howard, scheduler for ENVIRO attended the Ribbon Cutting and Grand Opening of the Atlanta’s Visitor Center at Hartsfield-Jackson Atlanta International Airport on January 26th. The new Airport Visitor Information Center (VIC) is designed to provide travelers with a wide range of travel assistance including friendly trip-planning assistance from knowledgeable staff, travel brochures, state travel guides, travel tips and much more. The VIC is located at the top of the arrival escalators, allowing travelers to access the information before or after visiting baggage claim. Jason is currently working as project engineer, scheduler and safety manager on the West Crossover Improvements. ENVIRO is currently working on several projects as JV Partner with Dunn Aviation Group. 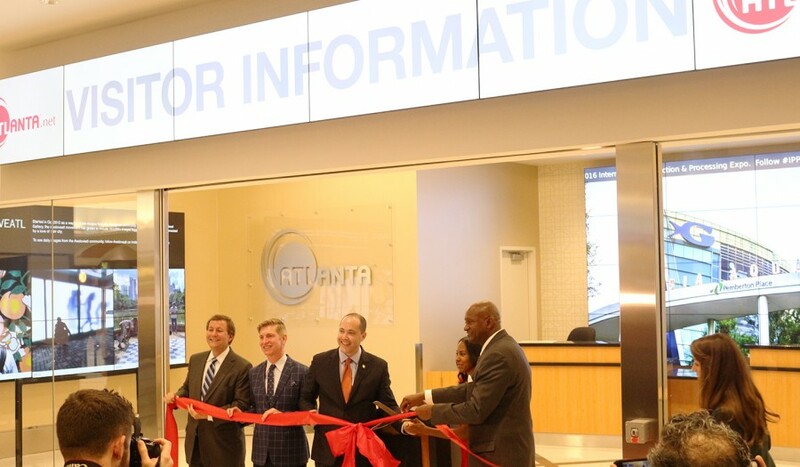 The Atlanta Visitor Center is part of the West Crossover Improvements project that includes Terminal Restroom upgrades, updated arrival, departure and baggage claim signage, Floor and Ceiling improvements. The West Crossover is located in the main terminal it is the bride from the South Terminal to the North Terminal. It also the location where passenger disembark from the train to get their cars, meet with their family, obtain rental cars, etc. The purpose of the project was to open up the space and modernize the West Crossover. The project opened to the public on November 17th. Final completion of the project set for mid-February. The next phase is the West Crossover Phase 3, where the escalator corridor in the Main Terminal will be modernized. 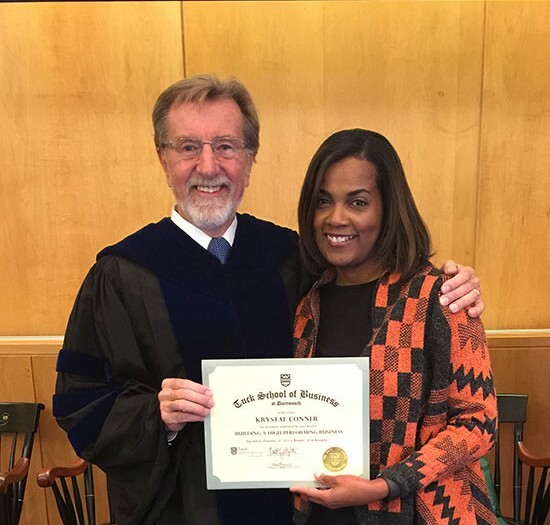 Dr. Krystal Conner attended the Building a High-Performing Minority Business Program as part of Tuck Executive Education at Dartmouth College in New Hampshire. The program is designed for minority firms to evaluate and strengthen their businesses by using the business as a case study. This week-long program gives business owners the skills to thrive in a rapidly-changing marketplace while surrounded by other businesses for inspiration and professional development. “My participation in Tuck’s program helped me look at our supply chain and find ways to maximize performance and profitability across all sectors of our business offerings. I came back better informed and inspired to lead ENVIRO to the next level. In keeping with the execution of the succession plan, the Tuck School program was a great investment for the future of ENVIRO. We can now work to apply all the teaching and guidance in our strategy and planning for the coming year,” stated Dr. Conner. 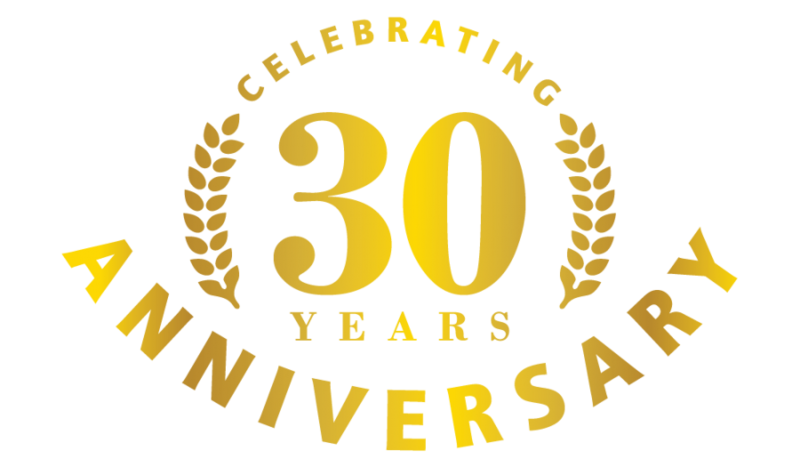 (Columbia, SC)— ENVIRO AgScience, Inc., a Columbia-based construction and commercial landscaping firm is proud to celebrate thirty years of business on November 18, 2015. Founded by Dr. Louis B. Lynn in 1985 after a successful career at one of the nation’s largest agrichemical companies, Dr. Lynn has parlayed a “golden handshake” from Monsanto Corporation into a multi-generational, black-owned construction and landscaping firm. Headquartered in Columbia, South Carolina and an office in metro Atlanta, ENVIRO began as a commercial lawn care business that has grown into a full-service construction and landscape company servicing government, military, schools and universities along with private sector firms. The ENVIRO philosophy is as much about building relationships as it is about buildings, with the building starting at home in Columbia, South Carolina. Lynn credits small business programs for opening up many of those opportunities to work on Columbia projects which allowed the business to compete and grow. Local, state and federal programs geared toward helping small and minority-owned businesses compete in the market has served as a hallmark of ENVIRO’s success. ENVIRO is a recent graduate of the SBA 8(a) business program and is currently a participant in the SBA HUBZone program. ENVIRO AgScience, Inc. was recognized as the “Small Business of the Year” by South Carolina’s Department of Commerce’s Minority Business Development Agency, the fourth fastest growing company in South Carolina, and one of Black Enterprise’s Top 100 Largest Black Owned Firms. Most recently, Dr. Lynn was named “Small and Minority Business Advocate of the Year” by the Columbia Chamber of Commerce. ENVIRO has a strong commitment to community service, innovation in thought, and diversity in the workplace and with its suppliers. The ENVIRO mission is to actively give back and “pay our civic rent” by creating job opportunities, nurturing small businesses through mentorship and serving with the organizations in the community that make a difference. ENVIRO also helps to spark the spirit of entrepreneurship through workforce development programs, which trains local students think like entrepreneurs so they can become future employers in the labor force. With a legacy of business excellence and ownership, including his grandfather, who owned a grocery store and his father, who ran a butcher shop, Dr. Lynn also chose the path of entrepreneurship. In March, ENVIRO executed its succession plan and Dr. Lynn assumed the role of chairman, leaving his children to manage daily operations and strategy of the family’s construction management and commercial landscape firm. Vice president Dr. Krystal Lynn Conner took over as chief executive officer and vice president Adrienne Lynn Sienkowski became chief operating officer. Bryan Lynn was named Facilities Manager. ENVIRO is best known for building schools and community centers in the Columbia area, but has also been involved in military structures, jails, mess halls, warehouses and historic, municipal and airport renovations throughout Georgia and North and South Carolina. 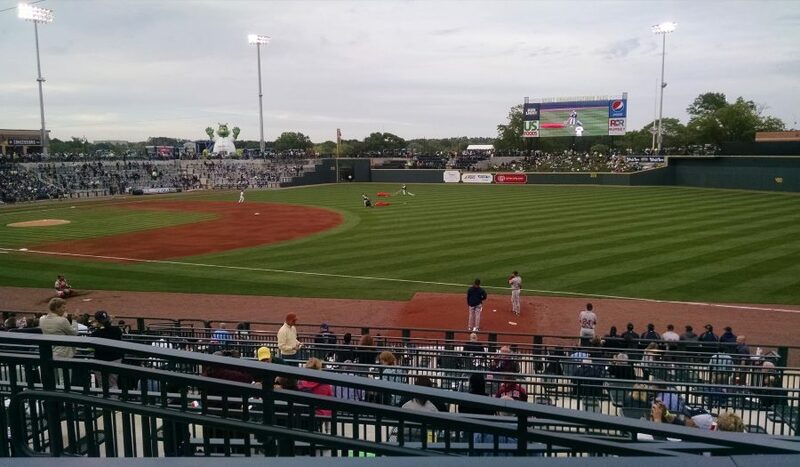 Currently, ENVIRO is part of the team helping to build a new minor league baseball stadium, Spirit Communications Park, completing bond referendum projects with the Richland County Recreation Commission and annual grounds maintenance for Richland Two School District. The story of the successful partnerships between ENVIRO AgScience, the local community and private and public sector partners demonstrate that mentoring works. The Lynn family has big future plans and goals for ENVIRO AgScience but always striving to reach back and help another ensuring the future of our families, communities and next generations.